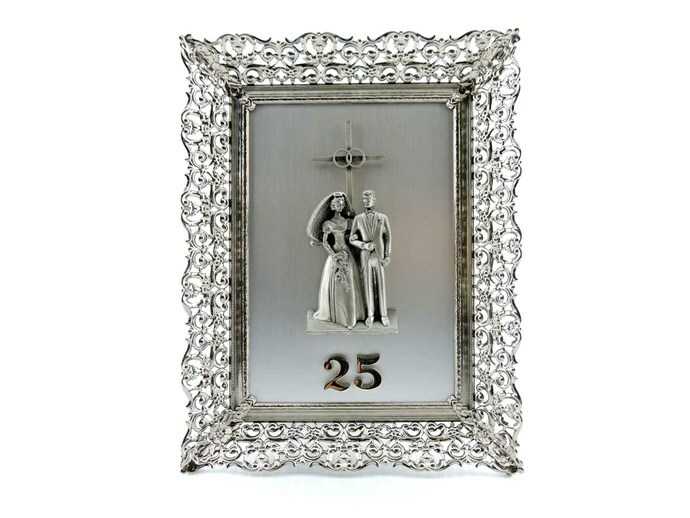 A 25th silver wedding anniversary 5x7 ornate metal frame plaque by Creed, circa 1970s. Wonderful vintage condition. 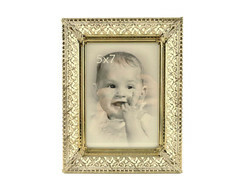 Silver toned frame is factory bright and shows few signs of wear. No visible bends, breaks, or adverse metal deterioration. Black fabric backing is faded somewhat but remains in fantastic condition otherwise. Cross, wedding couple, and the number 25 are all plastic pieces that have been riveted to a brushed stainless sheet. 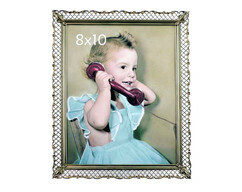 The decorated sheet is not removable from the frame without first removing each piece. 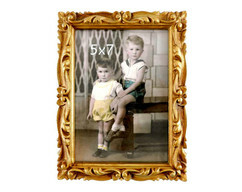 Then a glass pane could be inserted in place of the sheet and you would have a very nice 5x7 photo frame. Creed was well known for its Christian giftware. Overall measures approximately 7 inches wide across the front by 9 inches tall.